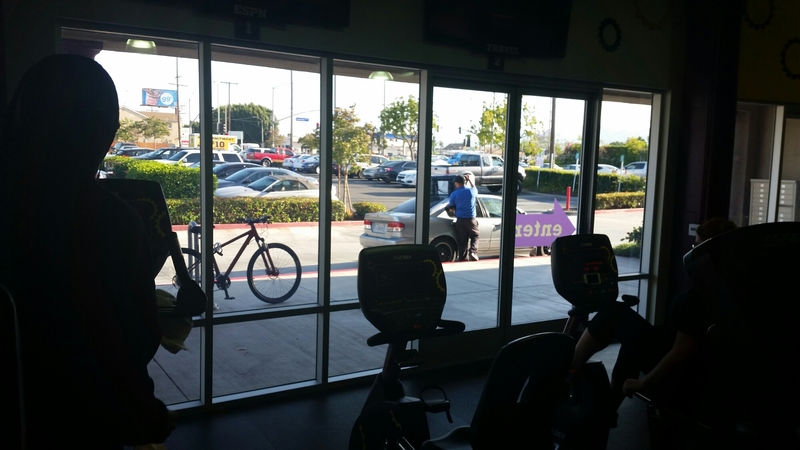 This photo may not be too clear but that is the dominoes guy grabbing pizzas he rested on top of the car to bring into the gym. Ok maybe you know what gym I attend just by this but if you dont, I attend planet fitness. Yes like many others I chose this gym because of the affordability. But its like do they want their gym memebers to fail. Not only do they have a pizza day but they have a donut day. WTF. First off the personal trainers there should be ashamed of them selves for not saying something about nutrition. I understand pizza ans donuts on a large scale is cheap. But what about a banana, apple or free water day. I know gym members don’t have to take the pizza or donuts offered but as a gym should you want to put your members in the position for success and not failure. They are putting plain ole temptation in the face of its members. I think a gym having a pizza and donut day counter acts the hard work their members put in working out, when they are passing out pizza and donuts at the exit/entrance as their members come and go. What do you think? Should a gym have a pizza or donut day? Or is it the members responsibility to have will power and not take the pizza or donuts avaliable? Both pizza and donuts can be part of a healthy and LEAN training lifestyle if the individual monitors and understands macros. Look up Joe Donnelly – male fitness model, #teamdonuts, posted pictures on photoshoots eating his way through a box of Crispy Cremes! He needs to consume about 6500 calories a day-broccoli and chicken 6 times a day will not suffice! That is true I didnt look at it from a potential weight lifting stance. I guess I was looking at it from a weight loss stance. Thanks for your perspective!